BoxQ is your trusted source for reliable, safe, and secure electronics recycling & data destruction in the Greater Boston area. Since 1999, BoxQ has been the trusted choice for both businesses and consumers when it comes to recycling outdated or non-performing electronics. In addition, BoxQ has been a long time specialist in the secure destruction of all electronic data and computer recycling. BoxQ offers you skilled electronics recycling professionals with years of experience. You can be confident that BoxQ will make your recycling project or data destruction tasks handled efficiently and effectively. The Pros at BoxQ are fully insured so you can have peace of mind, knowing that your project will be completed on budget, and on time. In addition, BoxQ assumes full liability for all equipment and the automated electronics recycling system software will will generate all of your related paperwork to get you back to work faster! You can help protect the environment because BoxQ never takes anything to the landfill. Your BoxQ team of electronics recycling technicians will separate all your electronics recycling materials so you know that your equipment is recycled to the fullest extent. You can protect the environment or keep harmful pollutants away from local wildlife and water supplies. Secure Data Destruction is a BoxQ specialty. Your electronic data will be properly and expertly destroyed, you can be confident that your sensitive personal information, images and/or company data will be securely destroyed. 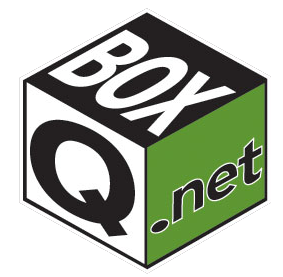 The BoxQ promise: You are fully protected from your data falling into the wrong hands. 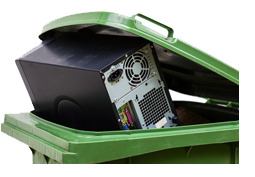 You can find cost effective solutions to e-waste management with BoxQ. As an industry leader in electronics and appliance recycling and secure data destruction you can be confident in the partner you chose to protect your electronic identity. BoxQ is a leader in full service electronics recycling in Boston and the surrounding area. Your peace of mind comes with the confidence you have with your recycling and data destruction partner. BoxQ wants to be your computer and electronics recycler in Boston and greater New England. From secure data destruction to dismantling of an appliance for recyclable materials, BoxQ is your partner in protecting the environment. The peace of mind that comes from knowing that you have placed your trust in skilled and experienced hands is extremely valuable. The gift you give to the environment by recycling your electronics is PRICELESS. Electronics recycling is an investment in the future of our community and the world.